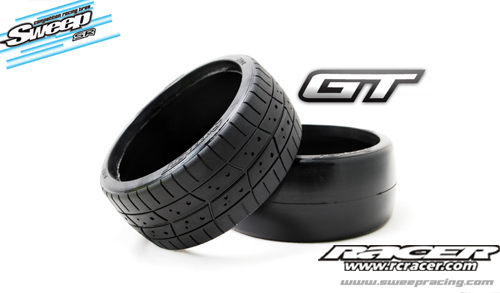 Sweep Racing have announced some GT tyres for the very popular 1:8 scale GT class, These tyres are made from world renowned EXP Rubber technology. 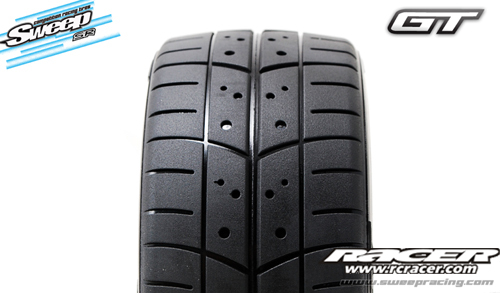 The first one is Sweeps own treaded tyres containing a unique cavity middle tread design which last longer than the conventional bar type treads while give drivers maximum grip from every skid angle. 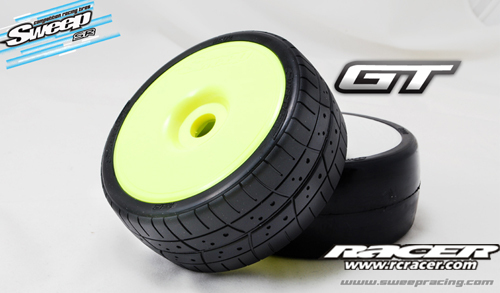 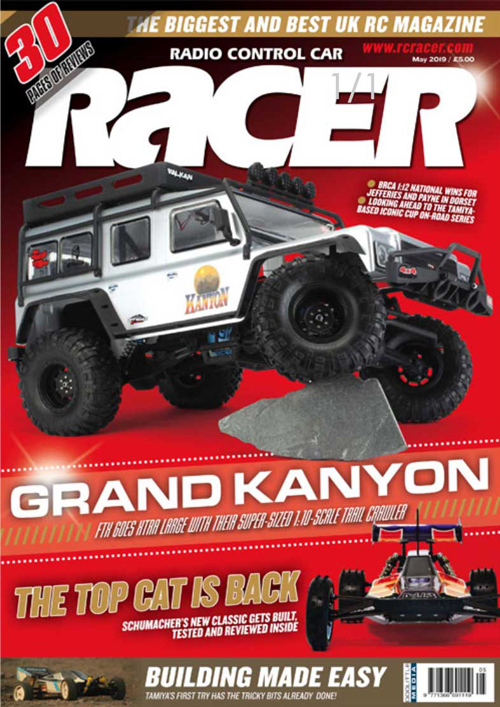 The second set to come out will be the slick tyre for prepped tracks which is perfectly shaped for maximum forward bite as well as maximum cornering speed.